For many enterprises, detection and remediation in the event of a cyber attack is too little and too late. Attackers are getting more advanced, deploying unknown exploits and unique malware that legacy security is simply not equipped to prevent, or even detect. 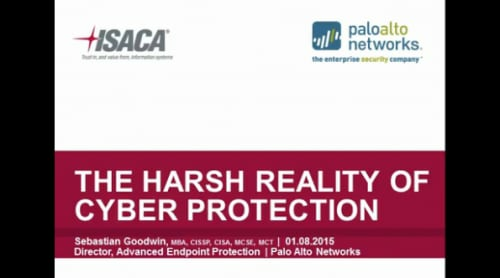 Join Palo Alto Networks and watch this webinar on the realities of cyber protection to learn more about why legacy endpoint technologies leave your enterprise vulnerable to sophisticated attacks, and how you can take steps to better protect your endpoints and your network.